I'm so excited to announce that Part 2 of the instructions for my Wild Daisy quilt are now published in the January 2012 edition of American Quilter Magazine! Part 1 appeared in the November/December issue. 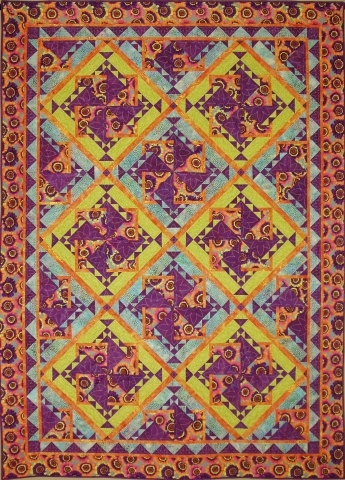 Wild Daisy is a 2-block, partially paper-pieced twin sized quilt. It was inspired by my earlier quilt, Driftwood, but with a lot more energy!